I was impressed by the TV series Prison Break. I still remember some plots today. Maybe not too similar, there are some games online involved this plot. Like this one, Jailbreak. Night has fallen. The lights have been turned off so the game's graphics is dark. Prison guard walks around outside the cell. 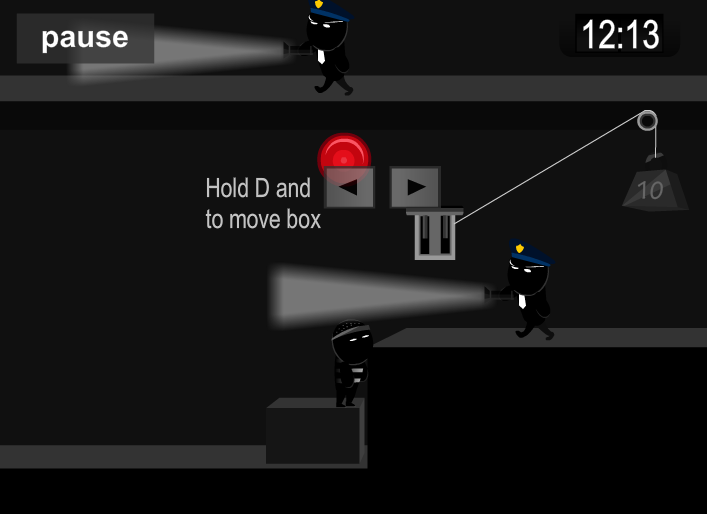 The player needs to help the prisoner escaped from the jail in this game. All people in this game are little black guys. Maybe someone likes the character design, but I’m not one of them. I think the time is very important in this game. The prisoner needs to pass through without anyone taking notice. Avoid being reached by the light of prison guard’s flashlights. And the prisoner needs to find key before times runs out to 00:00. Even if this is just one of free games online, I have to say, it’s not easy to play. I still can’t found the key so far.